I am a recent graduate of Pittsburgh Theological Seminary (June 2017) where I earned my Masters of Divinity degree. Prior to seminary, I worked as a social worker. I received both my undergraduate (90) and Masters of Social Work (92) degrees from Michigan State University. My concentrations of study were child welfare and medical social work. My career focus has been advocacy for those that have struggled with poverty, are from lower-socioeconomic backgrounds and members of under-representative, “hard-to-serve” and marginalized communities. I have primarily worked with women and families in a variety of settings (i.e. hospitals, nursing home, not-for-profit, academia and governmental) with the aim/goal of assisting them to obtain the services needed to improve overall health, well-being and quality of life. This has included direct care, education, program management and advocacy to ameliorate the effects of systemic issues of poverty, oppression and racism. I am originally from the Caribbean. I was born and raised in St. Croix, US Virgin Islands. I am a first generation American. My dad was from the island of Antigua. My mother was born on the island of Montserrat and raised on St. Kitts. I am the proud mother of two. My daughter is a junior at LaSalle University in Philadelphia as a scholarship recipient majoring in International Business/Marketing. My son is a college sophomore. He spent his first year at Waynesburg University where he was a member of the football team and a Bonner Scholar. We discovered that this was not the best fit for him. So as we explore other options, he is continuing to pursue his Business Administration degree at CCAC. My younger sister is also a very important part of my nuclear family as she was ‘my first’ child who lived with me from the age of thirteen. We relocated to Pittsburgh in 2004 and have made it our home. I have had an ecumenical faith journey. I was baptized and confirmed as a Moravian in St. Croix, USVI. I spent my young adult years as a member of a UCC congregation in Lansing, Michigan. While living in Pittsburgh I have been a Baptist until April of 2017 when I joined Hope Lutheran Church of Forest Hills. During my spiritual journey, I have come to appreciate that God is ever present and uses many hands and variety of settings to serve his creation. In the past two years I had the wonderful opportunity to be mentored by Pastor Susan Schwartz at the Children’s Institute and at Hope Lutheran. At the Children’s Institute, I grew to understand the role of Chaplaincy in the healing process. A big part of that experience was appreciating how ministry intersects both in the secular space and congregations. It allowed me to see how both of my vocations are an unfolding part of God’s plan for me. At Hope Lutheran I was privileged to see and be a part of what God is doing through the various ministries. I have grown to treasure the Hope’s community dedication to being a witness to others of God’s unmeasurable grace. It is through this support of Hope and my wonderful mentors Pastor Schwartz, Pastor Karen Battle and Pastor Beth Siefert that I am now in my discernment process of ordained ministry in ELCA. I am delighted to continue my training with PLUM. I look forward to learning from and working with this community and seeing how God is at work. While attending Slippery Rock University, I met my wife, Colleen, whom I married during my second year at Gettysburg Seminary where I actively participated in the Luther House of Studies, taking courses in many of the Washington D.C. area and other schools of theology. Following our marriage in March of 1974 we began a 2-year concurrent internship in the Armstrong, Indiana, and Jefferson county’s (AIJ Town and Country Cooperative Ministry). During the internship, I commuted to Washington D.C one day a week to attend courses there and complete my academic studies while serving the parishes of AIJ (At one time there were 21 parishes in AIJ from Avonmore near Apollo, to Brookville, and Dubois, to Brush Valley and Coral near Blairsville, just to mention the outside perimeter of the area served.) In case some think what we are doing in PLUM is tough or crazy, many of the congregations we served in AIJ have stabilized their ministries and are still faithfully serving their communities today. I graduated seminary with a M.Div. ; ordained August 9, 1970; earned a D.Min degree in 2003; after 39 years of fulltime pastoral ministry, I retired to Pittsburgh from Chicago. Married to Sharon with two son, one of which lives in Ingram, PA; the other son is a saxophone player with the USAF Concert Band, D.C. Working part time with PLUM; primary ministry is Sunday morning leading worship and preaching preparing Bible Study materials for the PLUM pastors, teaching one class a week on Tuesday mornings, and working on a variety of PLUM projects. I am the newest member of the pastoral staff of PLUM, coming on board as a Transitional Interim (in June 2018). I was born and raised in western Pennsylvania, and have been a life-long Lutheran. Attending Camp Lutherlyn as a youth and working there as a counselor was an important part of both my faith formation and my understanding of my vocation. I received a Bachelor of Music in Music Education from Grove City College and worked as a substitute teacher in music for school districts in Ohio and Pennsylvania. 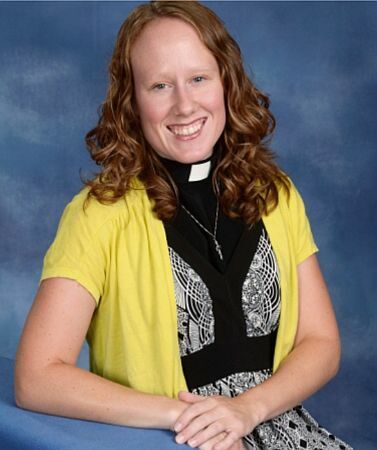 I also held the position of Director of Children’s and Youth Ministry at St. John’s Lutheran Church in Kittanning, PA. It was while I was working at St. John’s that I recognized a call to ordained ministry. I served my internship year at St. Paul Lutheran Church in Beachwood, NJ and received my Master of Divinity from The Lutheran Theological Seminary at Philadelphia (now part of United Lutheran Seminary). I have served as pastor of Zion Lutheran Church in Barnegat Light, NJ and Trinity Lutheran Church in Freeport, PA. I served the NJ Synod as the Program Coordinator for Confirmation Camp, and as a member of the Hunger Team. 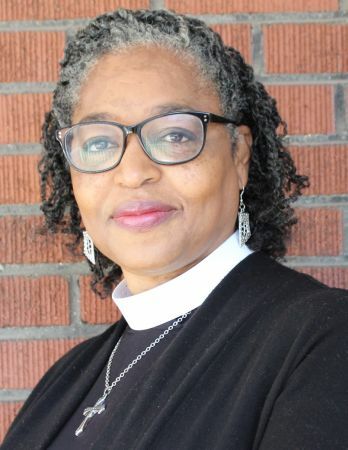 I have served our SWPA Synod as the chair of the Hunger Task Force and the Church in Society Committee, and as a representative on the Policy Council of LAMPa (Lutheran Advocacy Ministry in PA) and the Lutherlyn Board of Directors (currently in the position of Vice President). My interests include reading, listening to music and podcasts, dog-sitting, knitting, sewing, cheering on the Steelers, Penguins, and Pirates, ice cream, coffee and craft beer, and traveling. Running is a big part of my life, and I volunteer with a few running organizations in the city. So far, I have completed nine half-marathons (13.1 miles) and eight full marathons (26.2 miles), and have qualified to run the Boston Marathon next year. Thank you for welcoming me into the PLUM community! I look forward to working with and getting to know all of you! I was born and raised in Fairfield Connecticut. Graduated from James Madison University and the Lutheran Theological Seminary in Gettysburg, Pennsylvania. I served St. James Lutheran Church Emsworth, PA and Trinity Lutheran Church Shelton CT. am a retired Military Chaplain (LTC). I currently am under call at Children’s Hospital of Pittsburgh. I am married with 4 children. The origins of PLUM go back to the year 2004 when our sister congregation at East Liberty Lutheran became vacant and was unable to provide the resources to call a pastor. Pastors Beth and John recognized that East Liberty’s situation was similar to that of many of our small congregations so they put their heads together, along with the members of East Liberty, Christ and St. Andrew, to develop a plan of action. That work led to the PLUM model for addressing the pastoral care needs of small congregations in our Greater Pittsburgh area. It is from those discussions, the fantastic support of our congregations and our synod, constant prayer, faithful action and humble beginnings that the Pittsburgh Lutheran United Ministries of which you are now a part has and continues to evolve.